Home Connect is available to use with a wide range of connected home appliances from Bosch and Siemens. With this Home Connect Alexa skill, you can control and monitor selected programs and functions of your coffee machine with the Home Connect function via Amazon Echo. This quick tutorial will give you an overview about the supported features in the Home Connect Coffee Machine Skill. Be inspired and have fun exploring the skill. It might appear, that your coffee machine is in standby mode when launching the skill. In this case, the machine will automatically wake up and start with the rinsing process. Please wait a minute until rinsing is done and launch again. - If you don’t know what to say when you’re in a dialogue with Alexa, just wait a few seconds. Alexa will answer by giving you a choice of possible options. - At any time, you can say ‘Cancel’ or ‘Stop’ to abort the conversation. 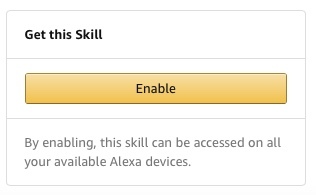 Note: In order to use this skill, you will need to link your Home Connect account to Alexa. You can register an account in the Home Connect app. Please also make sure that you have paired your coffee machine with the Home Connect app.